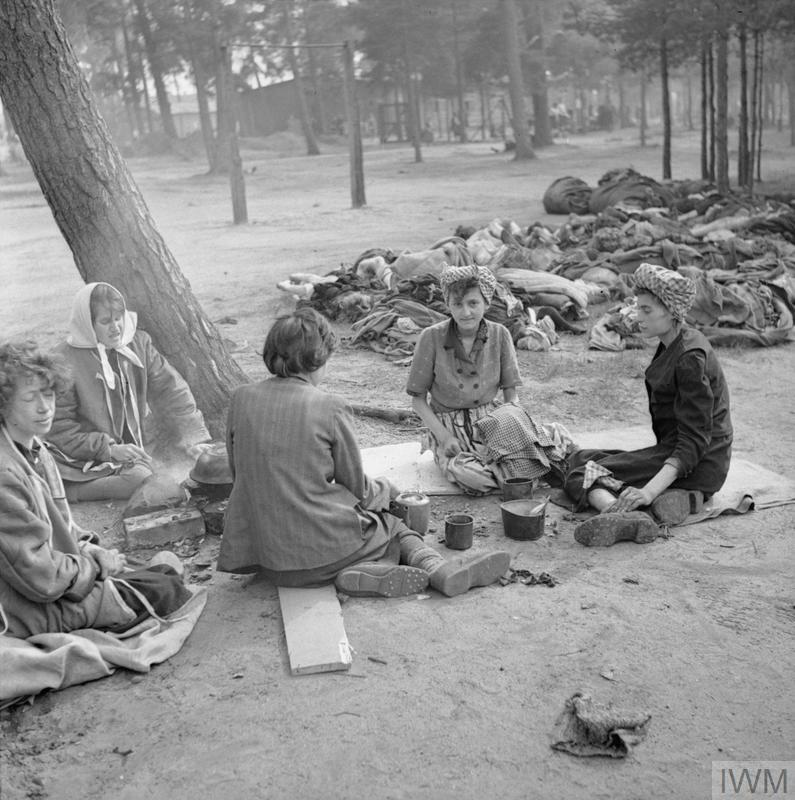 The British Army arrives at Belsen concentration camp. 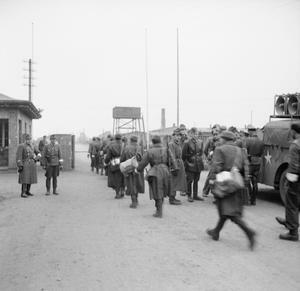 German and Hungarian guards stand at the camp entrance as German Wehrmacht troops (wearing white armbands) enter the camp under the truce agreement reached with the British on 12 April 1945. On the right is a vehicle equipped with loudspeakers from 14 Amplifier Unit, Intelligence Corps under the command of Lt Derrick Sington. 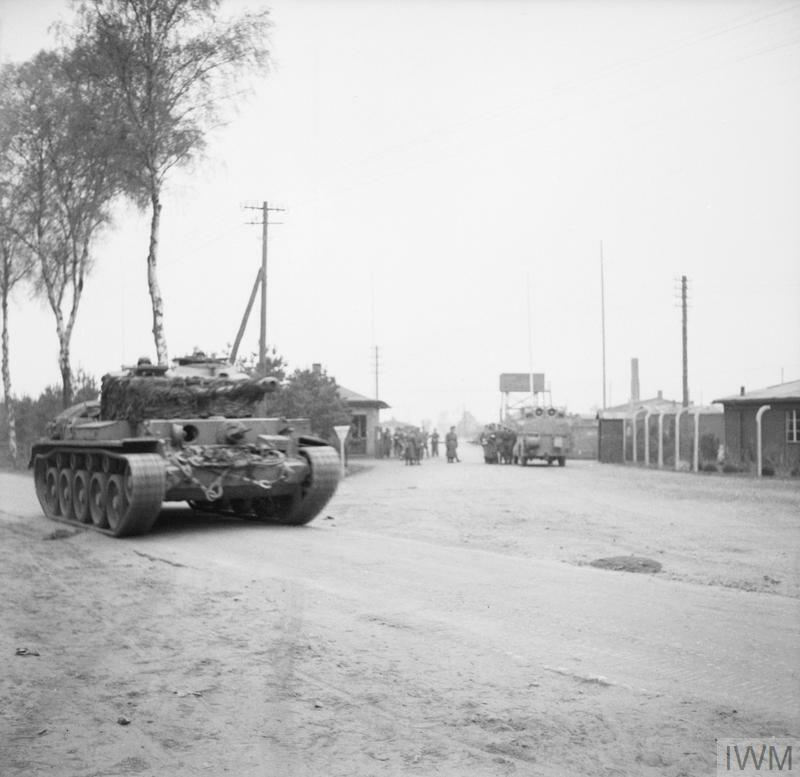 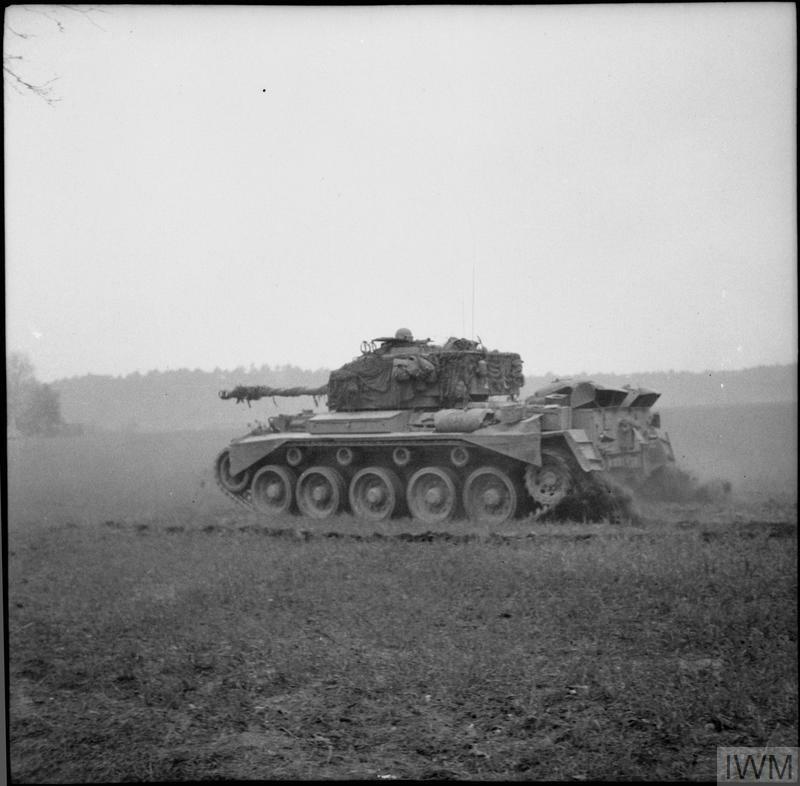 This vehicle, accompanied by vehicles of 63rd Anti Tank Regiment, Royal Artillery, was the first to enter the camp and was used to inform the camp inmates that the camp was now under British control.